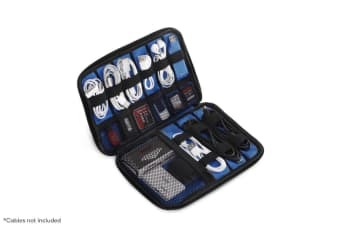 Read customer reviews of the Cable and Gadget Organiser. After a purchase, we invite our customers to leave a product review. The customer reviews for Cable and Gadget Organiser are below. Product was a little small and had to be modified to work properly. Perfect for keeping small gadgets in the one place. I’m finally organised, and have one location for all my leads, Many Thanks.